Farm Fresh Eggs, Not what you’ll see in the grocery store! Have you ever opened a carton of eggs at the grocery store and wondered: how are they all so perfectly identical? Well, the answer to that question is simple. Someone gets rid of all the eggs that look different! Not that they go to waste mind you. Unique or misshapened eggs can be used in egg products and such, but you won’t see them that way in the grocery store! 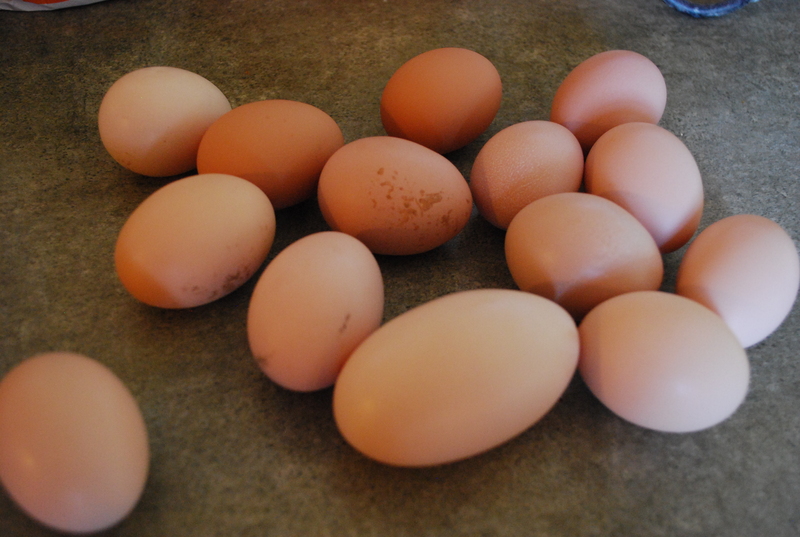 The fun of having farm fresh eggs is more than the excitement of finding them each day or even watching a chicken lay an egg (which is a very big event for the chicken by the way), but we also get to see all kinds of chicken eggs. Real. Just the way the hens lay them. I collected these just the other day. As you can see, that front one is a monster! 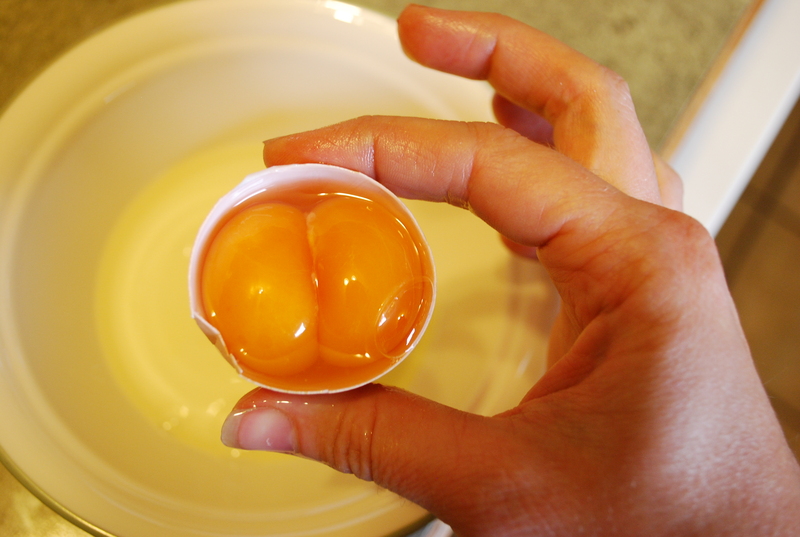 And as is usually the case with such eggs, inside it contained two yolks!